Rounding out the end of summer, we grew a tonne of basil — more basil than any one family could possibly eat. Not wanting to waste it, we made it into a pesto (simply basil, garlic, olive oil, parmesan, and a little salt and black pepper. Use a touch of lemon juice to prevent it from browning.) This freezes extremely well. 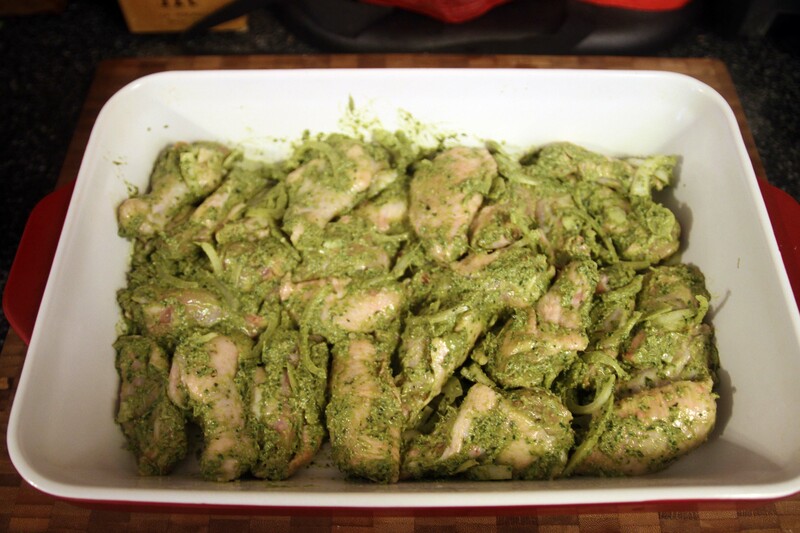 Not wanting to eat it with pasta, I saw we had a pack of chicken wings in our deep freeze. 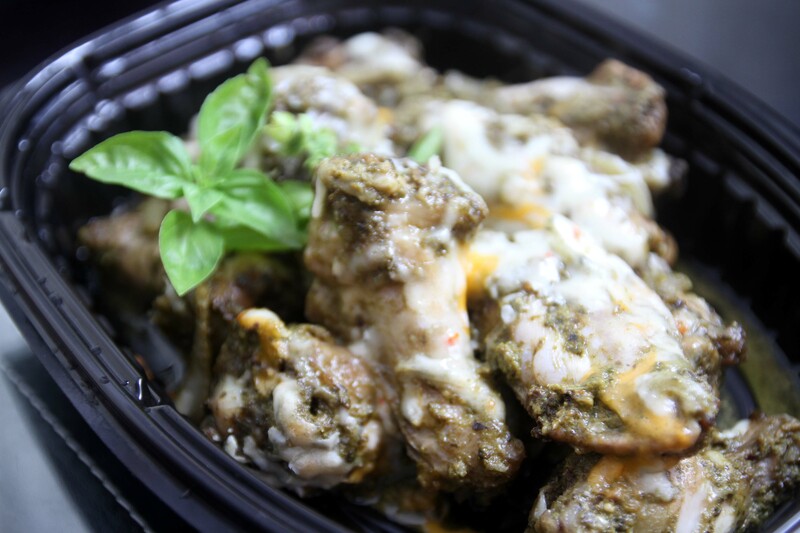 I absolutely love garlic parmesan wings, so why wouldn’t I love it with a little bit of basil as well?! No, I didn’t misspell Messy — Lionel Messi is my current favourite footballer. I have a soft spot for shorties like me! However, until he has his own magical world cup moment, he still ranks behind Maradona. Still, that man is amazing to watch! 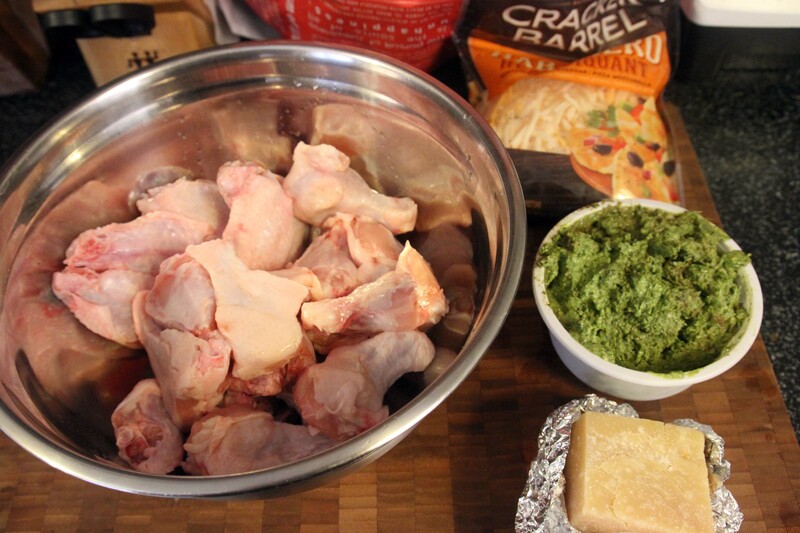 Preheat your oven to 400 F. This recipe will take a while because we are baking chicken bone-in. Give yourself at least an hour to make this. 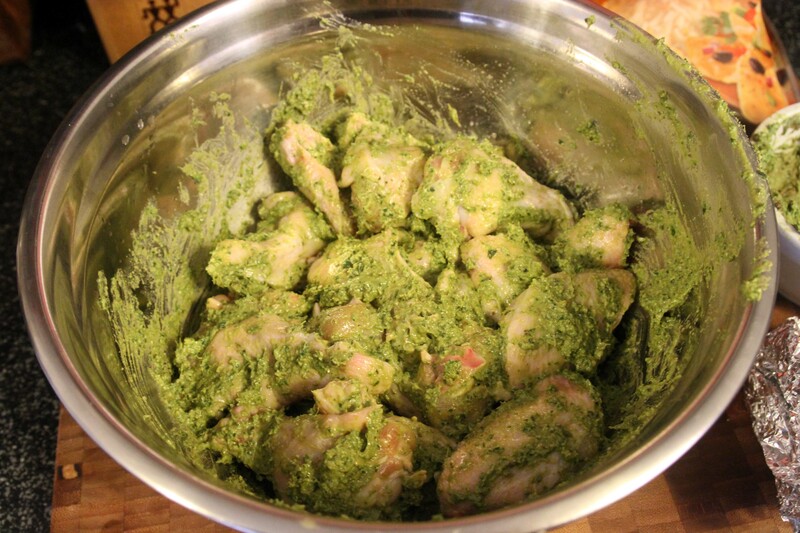 Thoroughly mix the pesto with your chicken. No need to pre-marinade. 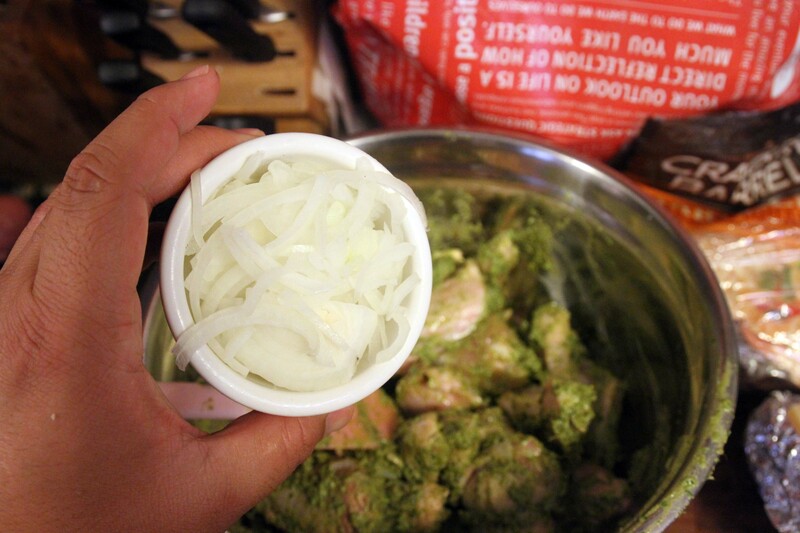 We had some extra sliced onions from when we made the Asian Cucumber appy’s, so we decided to throw it in as well. 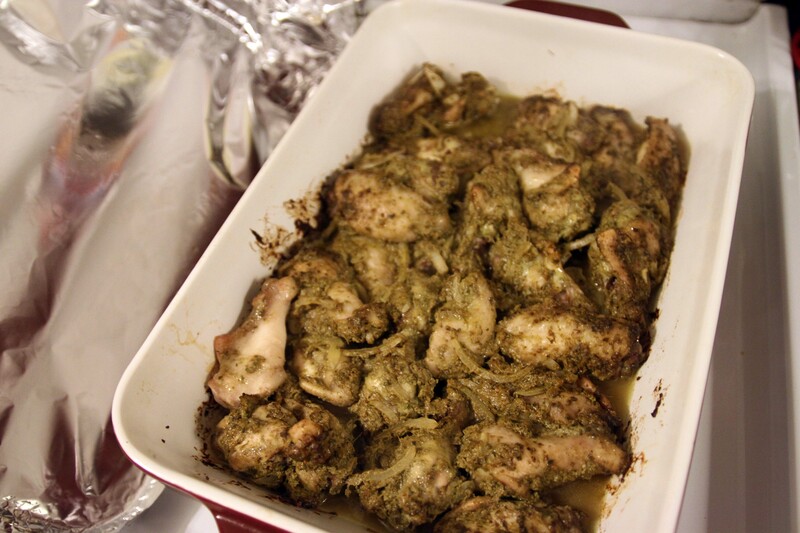 Grab a nice baking dish, spray it with oil (or wipe it down with cooking oil/butter) so that the chicken doesn’t stick. 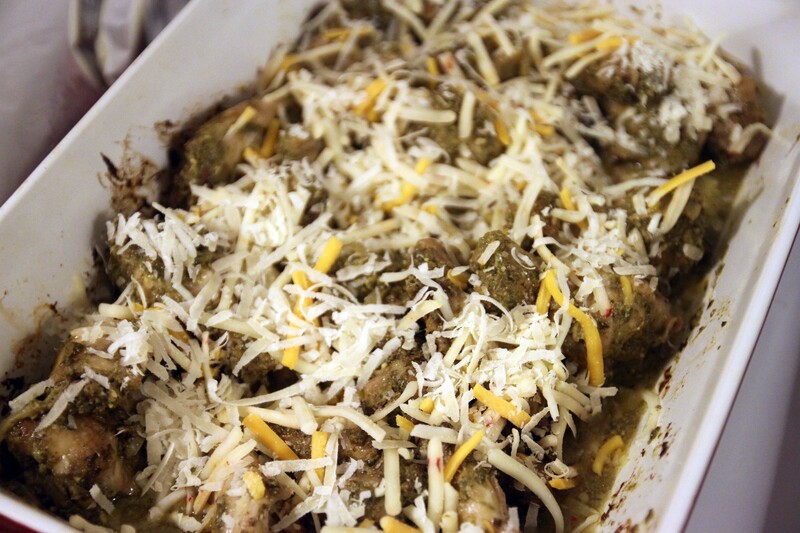 Throw all of your chicken into the dish, evenly levelled. Cover with aluminum foil, and bake for at least 50 mins. Take it out, and use a spatula to toss it all around. Next, grab your Parmesan, and grate it. I also had some Habanero Cheese, so I used that as well. Gotta bring tha’ heat! Sprinkle it over the chicken. 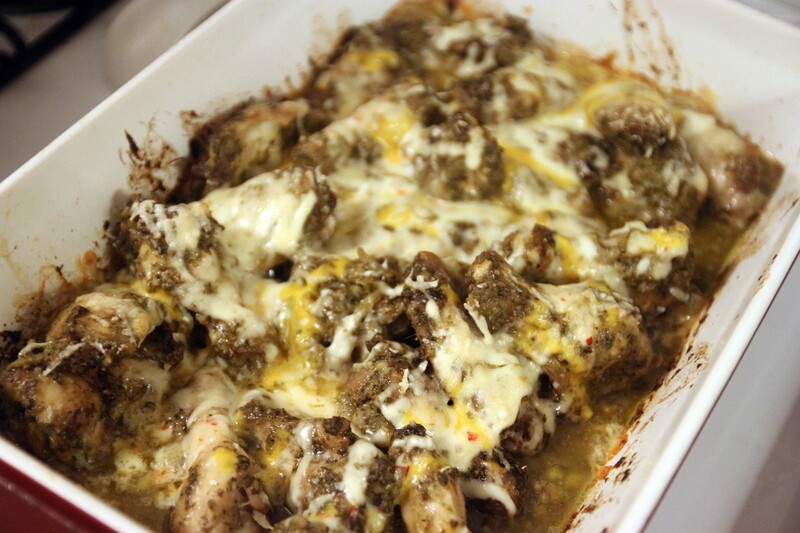 Throw it back in the oven, this time without the aluminum foil. Cook for another 10 mins. 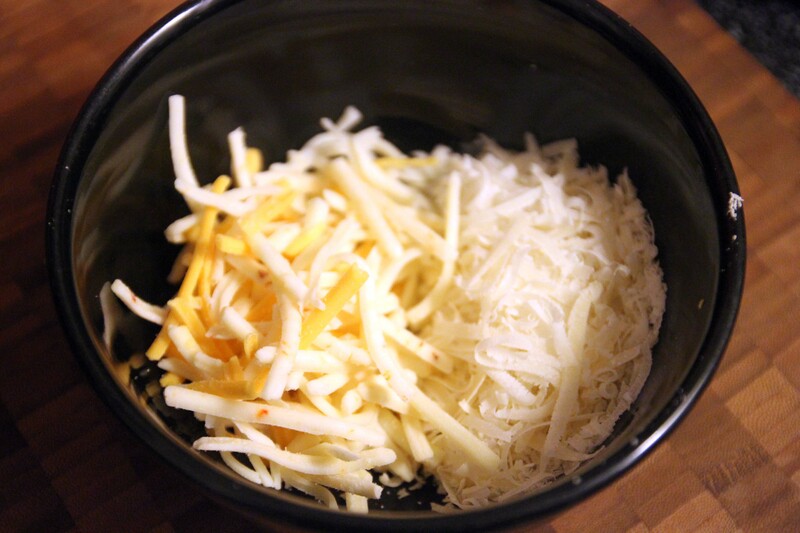 The cheese will become beautifully gooey. At this point, you can sprinkle a bit more parmesan on, or just eat it as is. Ta da! There you have it. 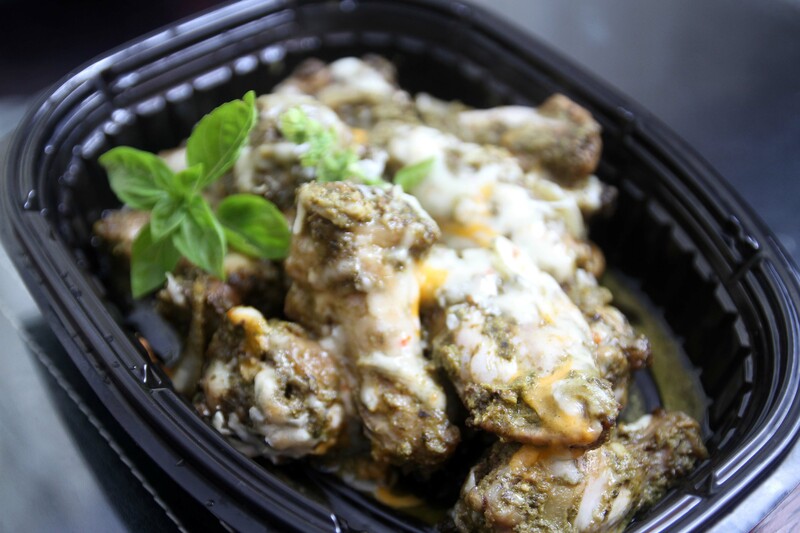 Pesto Chicken Wings! ps, do you like my serving dish? Superstore Roast Chicken takeout container ftw!